The crash in the Turkish lira sparked by US sanctions has left President Recep Tayyip Erdogan facing the biggest economic challenge of his one-and-a-half decades in power. 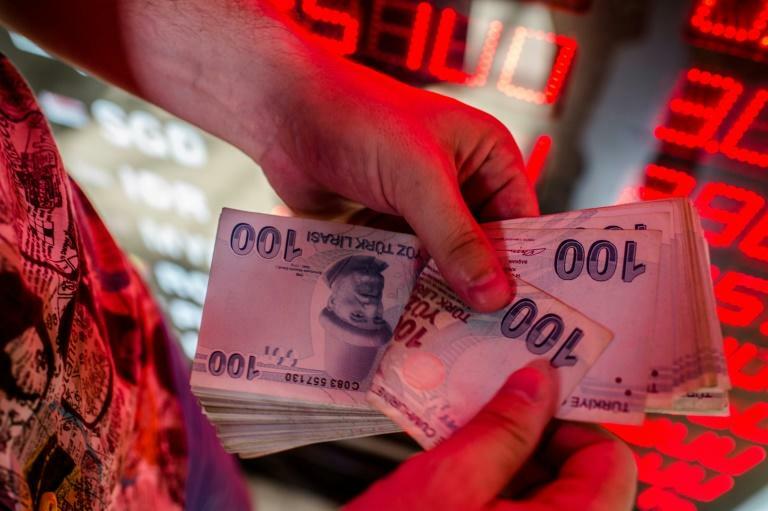 The lira has recently clawed back some of its losses, but economists say Turkey still urgently needs to address imbalances in its economy and avert a full-blown crisis. The fragility of the currency was highlighted again on Friday when Standard and Poor's and Moody's both downgraded Turkey's debt ratings within hours of each other. The lira closed a volatile week of trading at just over six to the dollar, off the lows of over seven earlier in the week, but still sharply down from the start of the month, when it had been changing hands at under five to the dollar. Economists say Turkey must act to prevent risks spreading to the European and even global economies. Erdogan has a number of mechanisms at his disposal. But they could prove bitter pills for the Turkish strongman to swallow. Even before the crisis broke, economists were urging Turkey to raise interest rates sharply to prop up the lira and rein in inflation. But Erdogan -- who sees his overriding priority as boosting growth -- adamantly refuses, with economists worried that the nominally independent central bank is firmly under his control. With its hands apparently tied when it comes to raising the headline borrowing rate, the central bank has provided banks with more liquidity, while also quietly using a mechanism that allows de-facto rate increases on a day-to-day basis. William Jackson, economist at Capital Economics in London, said that while "the sense of acute crisis" had faded, "policymakers only really seem to have done the minimum needed." 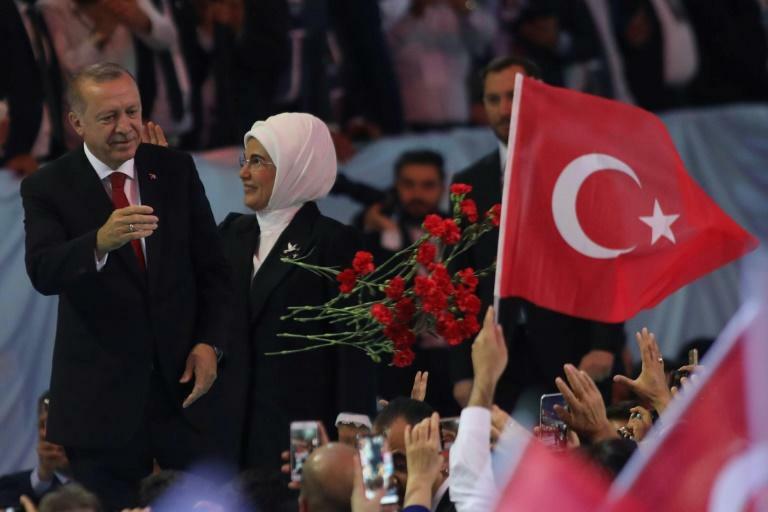 Financial markets are also sceptical about Erdogan's ability to resolve the current crisis, especially after he named his son-in-law Berat Albayrak as finance minister last month. Erdogan's unorthodox beliefs have not helped, with the president repeatedly baffling markets by suggesting that low interest rates are needed to bring down inflation. Moody's said Turkey lacked a "clear and credible plan" to deal with the challenges while S&P said the response from Ankara so far had been "limited" despite the mounting risks. Albayrak on Friday insisted that bringing down inflation was a priority for Turkey. But markets want to see actions rather than words. "Turkey's economic crisis is far from over," said Mujtaba Rahman, managing director for Europe at Eurasia Group, calling for a "credible programme of fiscal consolidation and economic reform". Economists have long warned that Turkey's high inflation, widening current account deficit and vulnerable banking sector harboured risks. Nevertheless, the immediate cause of the current crisis is the detention for almost two years of US pastor Andrew Brunson and the ensuing sanctions from Washington that have sent the lira into a tailspin. One immediate way out of the crisis would be to release Brunson from his house arrest. But this is far from certain, with Turkey noisily asserting the independence of its judiciary. Another way could be to defuse the tensions with Europe that have mounted since the failed 2016 coup, and focus instead on the joint opposition to Washington's unilateral trade measures. The last week saw the surprise releases of two Greek soldiers held for around six months and the Turkey chair of Amnesty International held for over a year, moves bound to gladden Brussels. These releases "were not a coincidence", commented a European diplomat, asking not to be named. In such a situation, the logical move for many countries would be to turn to the International Monetary Fund (IMF) for help. But Washington may not be too keen. And this also appears to be a red line for Erdogan, too, who has repeatedly boasted that Turkey managed to clear all of its debts to the IMF by 2013. Albayrak said Thursday that Turkey was not in contact with the IMF over a bailout and said Ankara was looking to attract new investments instead. After hosting his ally the emir of Qatar earlier this week, Erdogan secured a pledge for some $15 billion of investment from the gas-rich emirate. But according to Berenberg Bank economist, Holger Schmieding, the Turkish economy, the world's 17th biggest, is far too important to be kept afloat with relatively small amounts of foreign money. 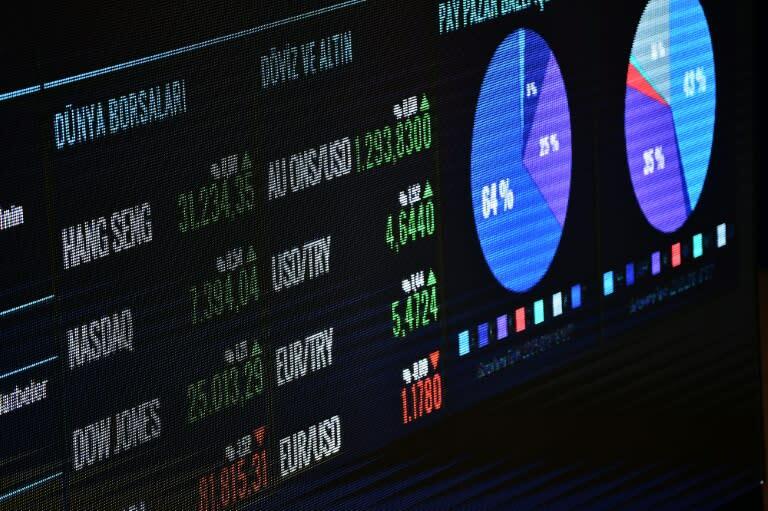 Many economists say that in the short term the most likely course for Turkey will be to try and weather the crisis without resorting to rate hikes, major political concessions or radical economic reform. The central bank's attempts last week to prop up the lira suggest it is trying micro-manage the crisis rather than find more comprehensive solutions. Jackson at Capital Economics said "policymakers will try to muddle through with a more heterodox approach for as long as possible," forecasting the lira faced further declines in 2019 and beyond.